Hiring practices that discriminate, knowingly or unknowingly, against individuals because of their race or gender. Employers that fail to recognize when their hiring processes ran afoul of the protections afforded employees for their gender or race run the risk of being sued for violations of federal and state laws, which can create serious liability and expense. Failing to properly define employee expectations through the use of an employee handbook or arbitration agreements, and then seeking to enforce to those expectations. Courts will not expect employees to be mind readers, nor will they expect an employee to be able to anticipate and consider the specific desires of an employer as it relates to performance and job duties. If an employer seeks to fire or dismiss an employee for failure to complete an expected task or for failing to adhere to certain company standards, the employer must be able to show that the employee was made aware of those standards and expectations during their employment. Employee handbooks or arbitration agreements provide employers with something to point to in those situations, which can help the employer avoid significant liability for wrongful termination. Failure to compensate employees in accordance with state and federal overtime rules. If an employer has hourly employees, the employer must be certain that those employees are properly compensated for overtime hours, or risk punishment and fines by regulators for wage and hour violations. Failing to understand the laws related to workplace harassment and how to handle reports of such harassment. Employers that fail to properly handle reports of workplace harassment can open themselves up to liability if the individual that suffered harassment sues. If the employer knew of these events and failed to act in accordance with state and federal law, the employer may have liability exposure. Failing to properly identify when independent contractors are actually employees. Employers regularly struggle with the concept of independent contractor versus employee, and, failing to get the classification correct will result in significant liability and damages. There are many misconceptions about the classification of someone as an independent contractor. Independent contractor status is defined by law, not by contract. That is, an employer can not use an agreement to circumvent the reality of the employment relationship. Thus, employers must comply with existing case law as to who is an independent contractor. And, both the IRS and states view the proper classification as crucial to ensuring that taxes are properly paid and that funds that protect employees like unemployment, Medicare, and Social Security, are properly funded when required. Failing to get the classification correct can result in serious fines and penalties. Employers should take the time to sit down with an experienced New Jersey and Pennsylvania employment defense attorney, and allow that attorney to review the company’s policies and practices, and guide and protect them in this legal minefield. 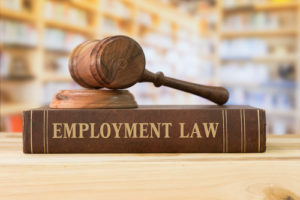 Having an attorney review or draft your company manuals, arbitration agreements, and other written policies, and its methods for dealing with employee issues will ensure that you are able to conduct the business of employment in a manner that will keep you out of the state and federal spotlight and also, out of court. As noted above, the stakes have never been greater. Failure to be compliant could result in significant damage awards, reputational damage and possibly put the company out of business. The attorneys with the firm of Thomas Paschos & Associates, P.C. have decades of experience representing employers in matters such as these and working to ensure that their clients do not run afoul of the law. Contact the firm today to schedule a consultation to discuss your business and your possible exposure.